The exhibition Border Cantos: Richard Misrach | Guillermo Galindo has sparked conversations about immigration and identity. 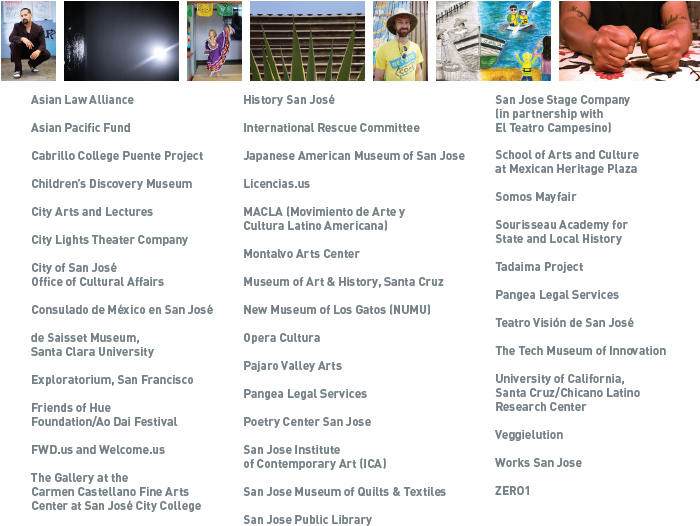 Forty-one organizations from San Francisco to Watsonville, California, joined with SJMA to present programs that include theater, film, panel discussions, and exhibitions. 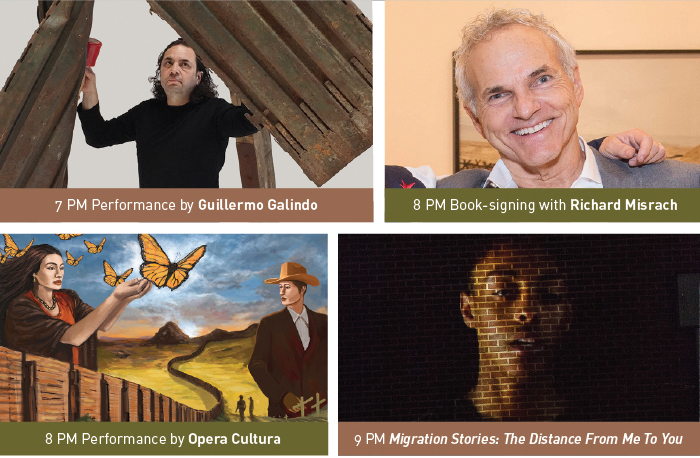 SJMA and partners celebrate this collaboration in a dynamic evening that will feature a performance by Guillermo Galindo and showcase many other related programs. Come meet the community organizations who partnered with us for Border Cantos. Border Cantos: Richard Misrach | Guillermo Galindo is made possible in part by grants from the Walter and Karla Goldschmidt Foundation, Yellow Chair Foundation, the National Endowment for the Arts, the Creative Work Fund, a program of the Walter and Elise Haas Fund that also is generously supported by The William and Flora Hewlett Foundation, and The John S. and James L. Knight Foundation. Additional support is generously provided by Claudia and Sven Weber, Evelyn and Rick Neely, and the Consulado de México en San José. Images: Guillermo Galindo, Ángel Exterminador (Exterminating Angel), 2015 (detail); Found corrugated steel section of border wall, found border patrol drag chain, and found border wall wood blockings; 108 × 84 × 144 inches; Courtesy of the artist. Richard Misrach; Photo ©Drew Altizer Photography. “Cuentos—Song Cycle” by Héctor Armienta; art by artist laureate Roberto Romo. Robin Lasser and G. Craig Hobbs, Migration Stories: The Distance From Me To You (detail) at Sunset Magazine building, Jack London Square, Oakland, May 20, 2016; courtesy of the artists.